As a low-lying, one-mile-square city on the Hudson, Hoboken faces unique opportunities and challenges. It’s a densely developed urban core with vibrant communities and varied transit options, but it has historically lacked open recreational areas and protection against flooding. 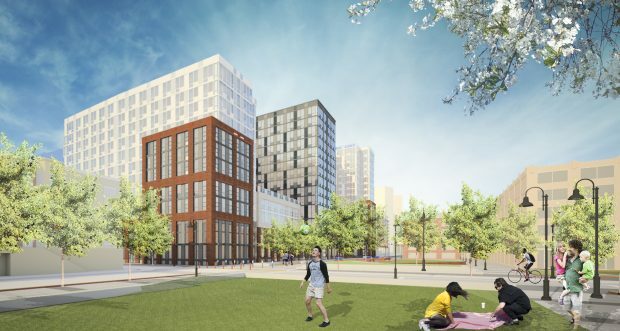 Partnering with the City of Hoboken and Marchetto Higgins Stieve Architects, Bijou Properties used Hoboken’s distinctive features to inform the creation of 700 Jackson, a new development that addresses the city’s particular needs. 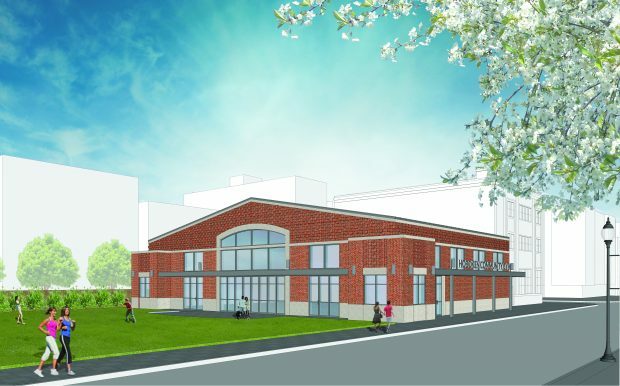 The project consists of two buildings—a multifamily residential building and separate public gymnasium—and two new parks. 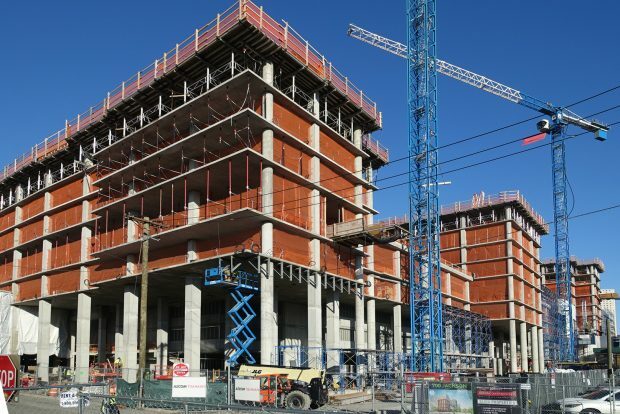 The 14-story apartment building has 26,000 square feet of retail space on the ground floor and 424 residential units on the upper floors, as well as 413 parking spaces in an embedded garage. The residential units allow for a variety of family sizes and income levels, with studios, one- to three-bedroom apartments, and 42 affordable units. The building’s green roof hosts 15,800 feet of Sedum trays, an outdoor patio, a pool deck, and BBQ stations, as well as activity, garden, and private terraces. A short distance away, the 6,835-square-foot public gymnasium offers a central game court and flexible space that can be used for athletic or community activities. In addition to providing much-needed public space, the parks incorporate stormwater detention features that mitigate the neighborhood’s flooding problems. Hoboken is particularly vulnerable to flooding because it sits on low land and filled-in wetlands next to the Hudson River. It also has a high percentage of impervious ground cover, which results in increased volumes of stormwater runoff. With these problems in mind, the development’s team designed parks that incorporate stormwater detention capabilities and green infrastructure. The underground stormwater detention system can contain a volume of water equivalent to the predicted 10-year storm volume for 700 Jackson’s total site development area—more than 450,000 gallons. 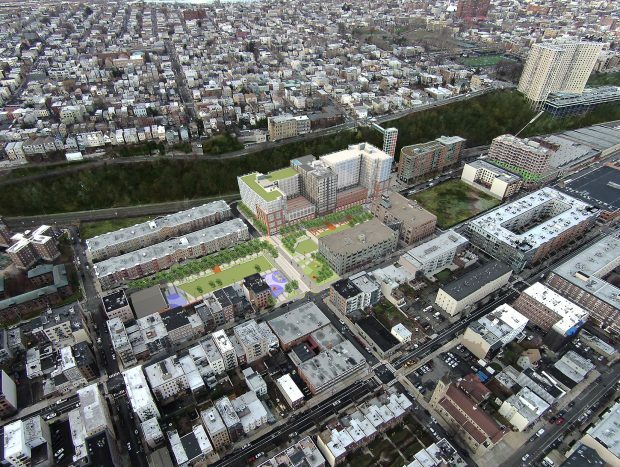 Combined with two other resiliency parks planned for western Hoboken, the parks at 700 Jackson contribute to Hoboken’s overall climate resiliency goals. Above the surface of the stormwater detention system, the parks offer varied public gathering areas, including open grass, a pedestrian plaza, an exercise surface, a children’s playground, and a promenade with shaded areas for café seating. 700 Jackson is situated perfectly for its residents to use public transit. It’s right next to the 9th Street Hudson Bergen Light Rail station, from which residents can travel to New York City, Jersey City, or downtown Hoboken. Bus stops are also located nearby. The development’s traffic calming features encourage biking and walking. 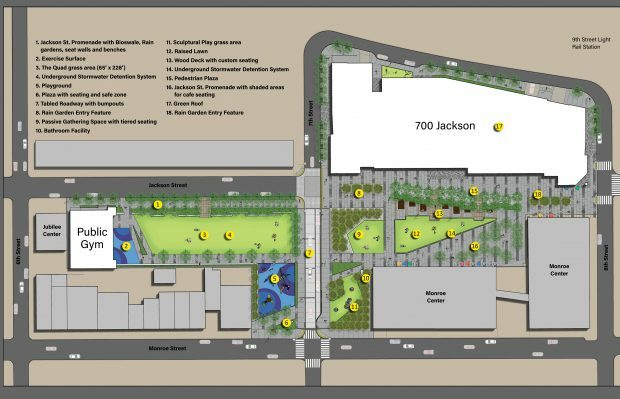 The developers envision 700 Jackson as not only an appealing residence for commuters, but also as an attractive destination for retail and amenities, bringing people from outside the development for the neighborhood’s parks, stores, cafes, and activities. The development will also benefit the surrounding neighborhood, which will have access to its public facilities, parks, and activities. 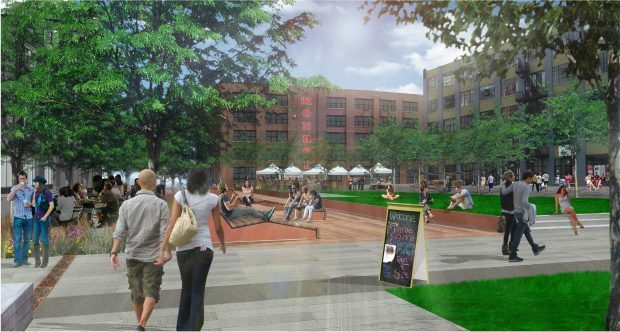 The development is located next to the Monroe Center, a set of buildings that house artists’ studios, retail shops, and small businesses. The developers anticipate that once 700 Jackson is complete, foot traffic to the Monroe Center will triple. During the planning process, the developer and the architect worked to balance the city’s needs and goals with the project’s cost. 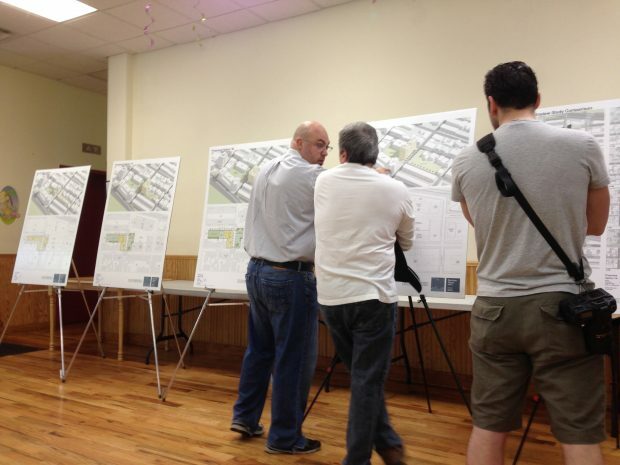 They involved the surrounding community through a series of six public meetings, during which residents provided input on building configurations, view shed, potential shadows, and open space. Bijou Properties broke ground on the project in January 2017, and the first phase of the project, the parks, is expected to open in late 2018 or early 2019. As the result of a thoughtful planning process, this transit-oriented, mixed-use, mixed-income project is not just a development. 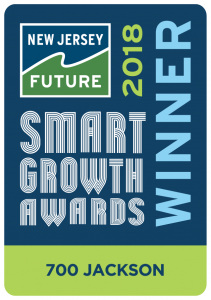 For people in and around Hoboken, it will be a destination. And for 700 Jackson residents, it will be a home.